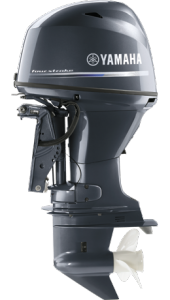 Boat Stuf is your source for Yamaha Outboard Motors. We are a 100% Yamaha exclusive dealership. Boat Stuf is the only dealership on the Northshore and Westbank authorized by Yamaha to repower boats with Yamaha outboards. All of the boat lines that we sell are also powered by Yamaha Outboards. Out of over 2000 Yamaha dealers in the country, Boat Stuf has consistently been ranked in the top 10 of all Yamaha Key Dealers. Boat Stuf has sold over 5000 Yamaha motors with nearly 500 of them sold just last year. We have better stock and availability of motors and parts due to the fact that we sell Yamaha exclusively. Boat Stuf mechanics attend Yamaha schools in Atlanta each year as well as local service update seminars by Yamaha District Service Representatives. They also receive updates via webinars and service bulletins. Check out the current Yamaha Promotions by clicking on them in the promotions box on the home page. Boat Stuf offers competitive pricing on all Yamaha Outboards. Do you have a boat already but need a new engine? Are you in the market for a new boat and want to find out how the boat will handle with a Yamaha outboard engine? Check out the current Yamaha Outboard Performance Bulletins to find out! The reliability of Yamaha Outboards is legendary. We know, because our customers have told us some great stories. As it turns out, boaters from all over the U.S. have also shared their stories. Yamaha now has so many, they’ve dedicated an entire website to them. Click the button below to be immersed in boaters’ real-life, first-hand accounts of Yamaha reliability, performance and innovation. Yamaha also offers Extended Warranty which is Y.E.S. for Yamaha Extended Service. Boat Stuf can sell the YES plan to anyone with a Yamaha Outboard motor that is still in its original factory warranty. We can also offer YES out of warranty for all boats that we sell pre-owned or on consignment as a courtesy to our customers. Yamaha offers the most comprehensive warranty coverage on the water.